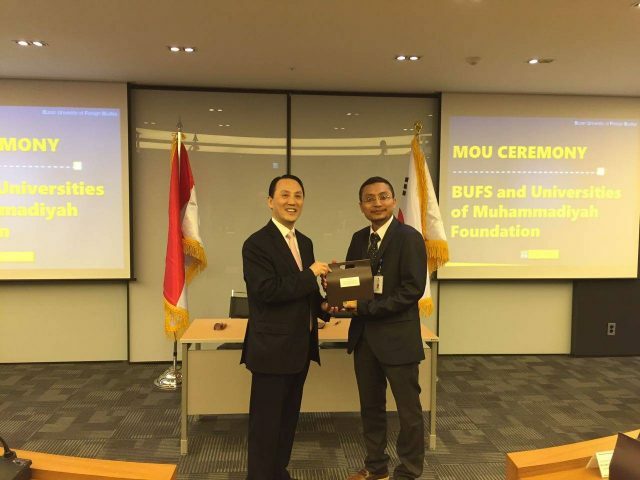 On April 7th to 13th 2018, Mr.Eko Priyo Purnomo, Ph.D. as UMY Executive Director of Cooperation and International Affairs, The delegate from UMY went to Busan, South Korea to sign a new MoU with Busan University of Foreign Studies (BUFS) and Dong A University. On Apirl 9th, 2018 UMY signed a MoU with BUFS which represented by Mr. Chung Hae-lin as Busan University of Foreign Studies President. Then, UMY also signed a MoU with Dong A University which represented by Mr. Han Suk-Jung as Dong A University President on Apirl 10th. Both of Universities are the most prestigious University in Busan, which are the number one and two Private University in Busan. Those new MoU were dealing about staff and student mobility. In the term of student mobility, they will give discount or waived the Tuition fee until 50 percent and those students that have a good performance will get discount up to 70 percent for the fee from scholarship. In the term of staff mobility, those Universities agreed to have joint research or publication. 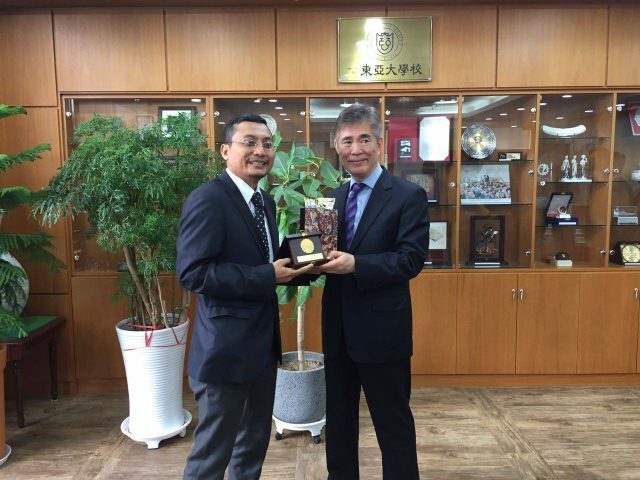 In addition, Mr.Eko also visited and discussed with Youngsan University, Dong Eui University and Korea Muslim Federation in Busan and Korea University in Seoul. The purpose of this visit is to discuss about the cooperation in the future between them.